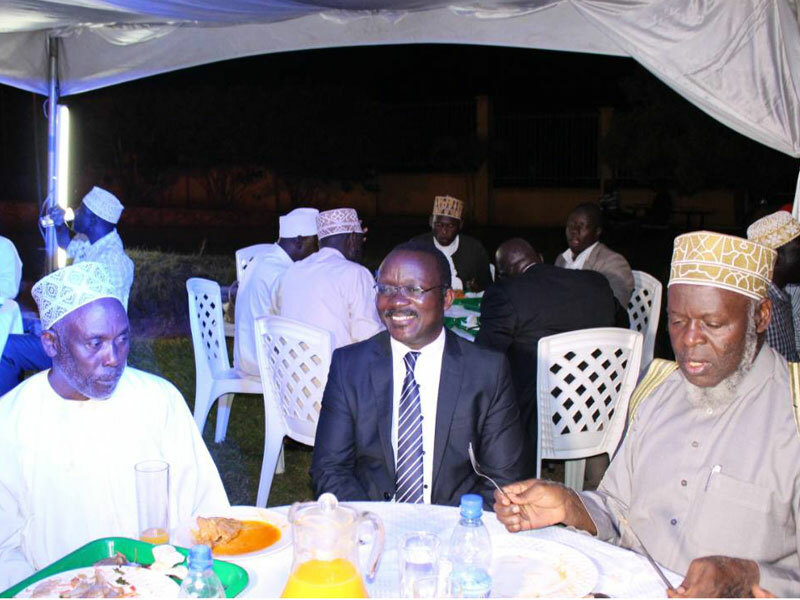 Eng Mugisha and Muslim leaders at the dinner. 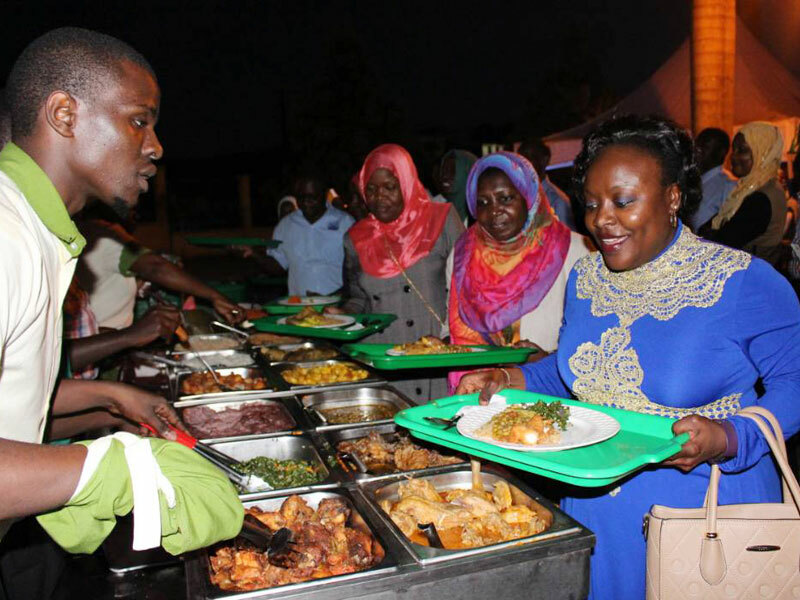 The National water and Sewerage Cooperation (NWSC) on Wednesday hosted its Muslim partners to a Special Iftar at the corporation’s international resource centre Bugolobi. The event started with Magrib prayers led by the Mufti of Uganda Sheikh Shaban Ramadan Mubajje. Iftar is the evening meal that breaks Muslims daily Ramadan fast at sunset. 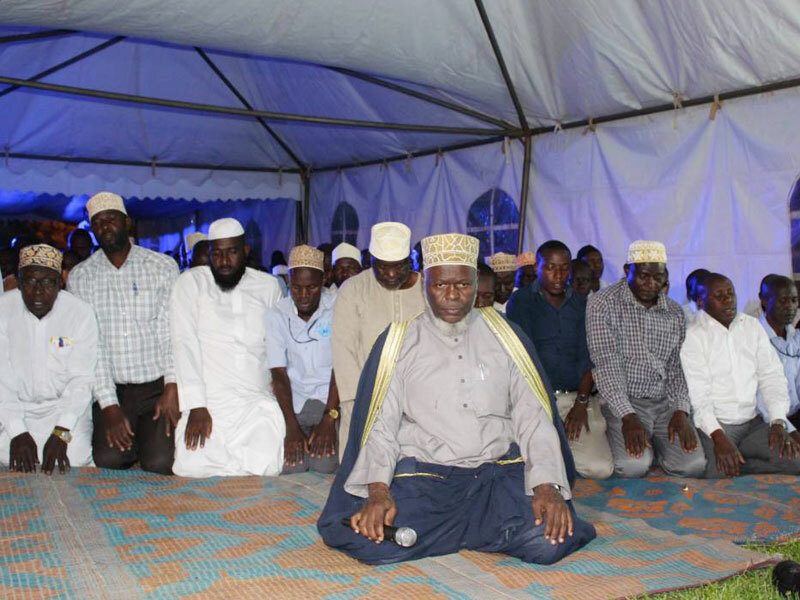 Sheikh Mubajje leads the prayers. Speaking at the dinner NWSC managing director Silver Mugisha shared the company’s success stories and attributed them to the hardworking Muslim senior managers and staff at the corporation. “NWSC used to be in only 23 towns but we are now in 179 towns and we will in the next few weeks extend to more than 25 towns and serve more people ” Eng. Mugisha said, adding that the water utility agency used to bill Shs150 billion turnovers per year but is now billing Shs300 billion. He said water network connections have since increased from 350,000 to 550,000 customers. The corporation will this week give back to the disabled Muslim community at Nakivubo Blue Primary School. The mufti of Uganda thanked NWSC for the kind gesture. “Muslims pray five times a day and water is part of Islam. 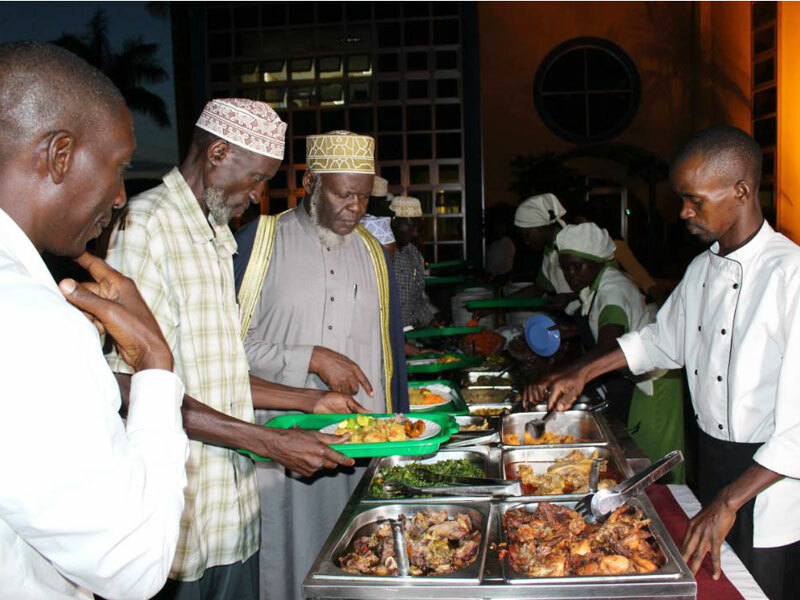 Thank you for always hosting the Muslim community for Iftar during the Holy Month of Ramadan. 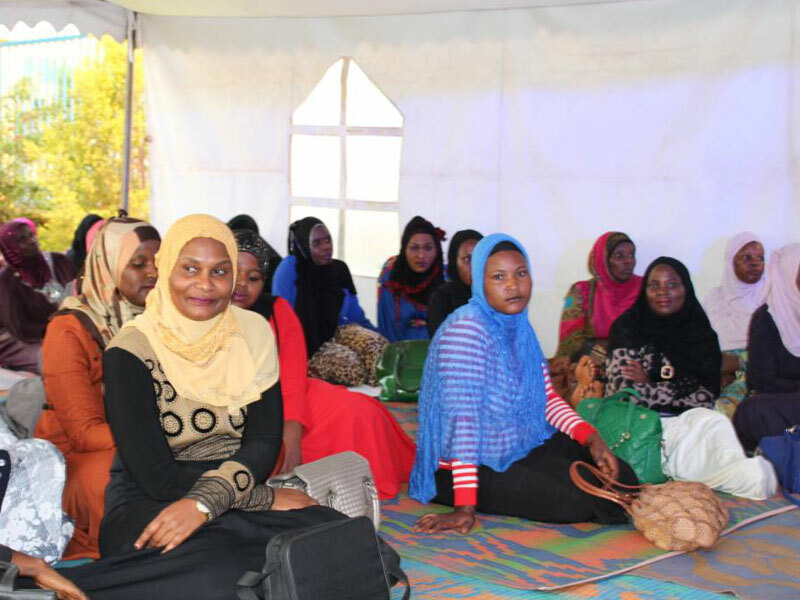 I urge all Muslims to pay bills on time and help the corporation extend services to more people,” Mubajje said. 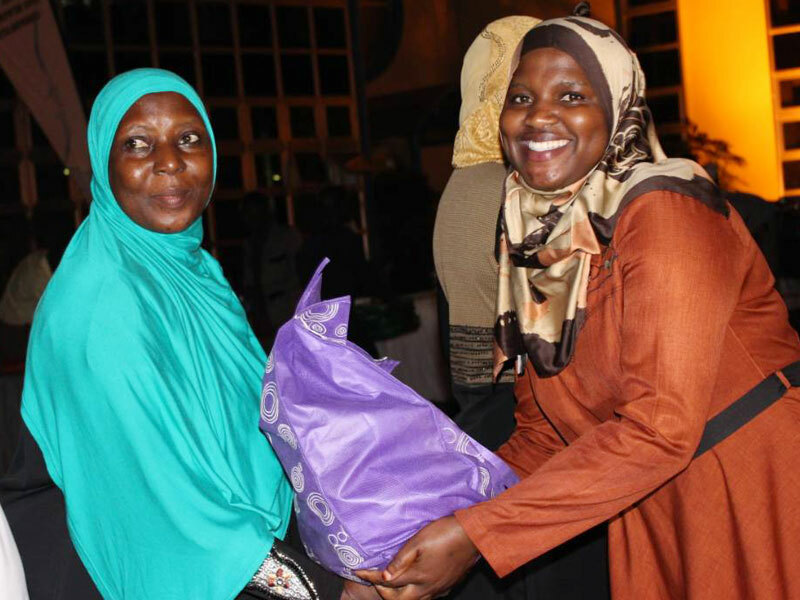 During the Iftar dinner, the customers received Eid gifts in appreciation of their support towards NWSC. On Saturday, Eid or Eid al-Fitr will mark the end of Ramadan, which started on May 27.